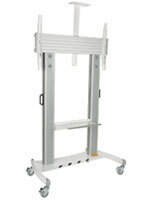 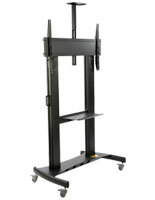 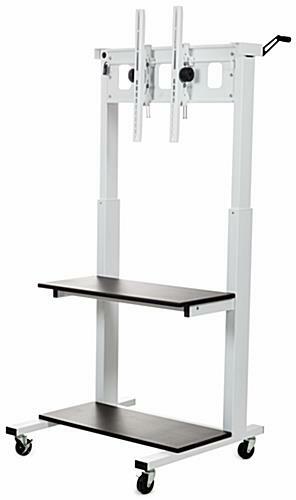 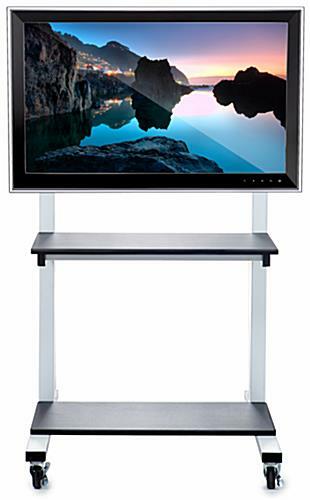 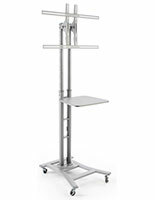 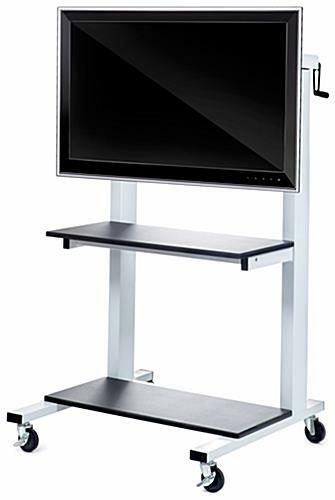 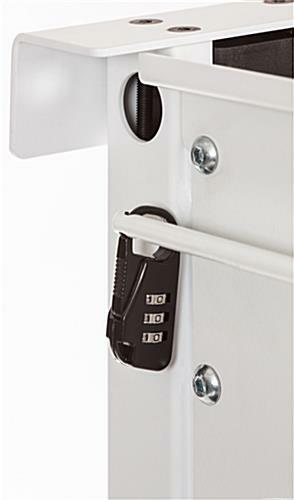 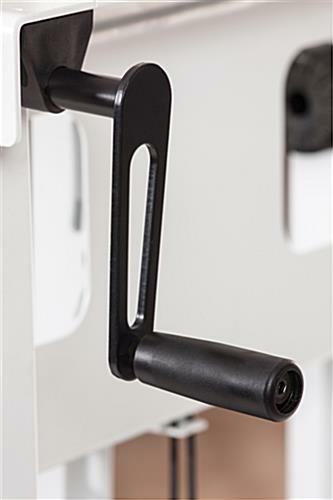 This monitor display with wheels features a convenient height-adjustable crank handle and stabilizing locking casters. 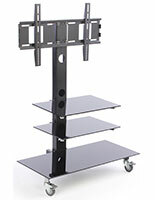 The flat screen furniture is constructed of sturdy white steel with black MDF and melamine shelving. 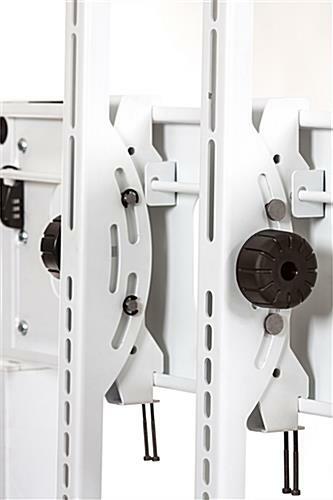 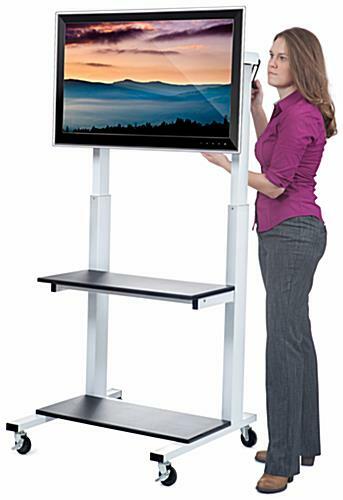 This monitor display with wheels is an industry grade commercial stand that supports 30" to 80" flat screens. 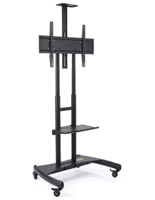 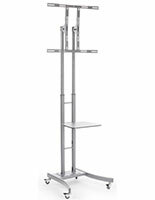 This unit features two 30"wide audiovisual shelves that hold up to 33 lbs. 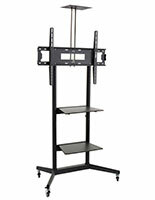 of audio and media equipment. 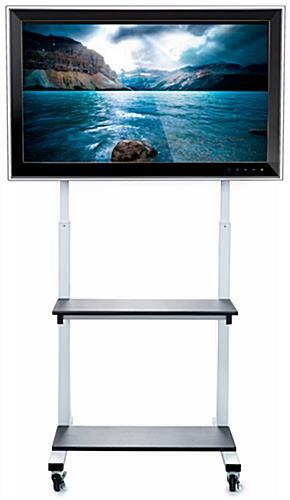 This specially Luxor display with wheels is an office cart with a tilting bracket for flexible views in landscape orientation. 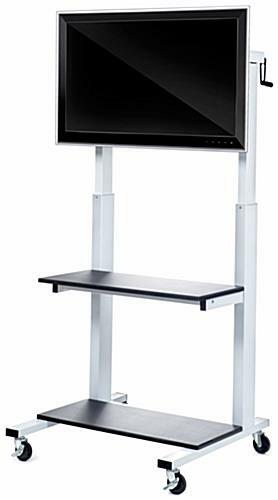 This kiosk adjusts from 50.5"h to 66.25"h with the crank, and the VESA-mounted unit is compatible with 200x200, 600x400.